If you really want to experience Bermuda in a special way and enjoy what it has to offer, then cruising there is the way to go. Not only is it fun, it is also affordable. Most cruise lines that operate through the coast of Bermuda have at least one ship that sails there every summer (Mid May-August). 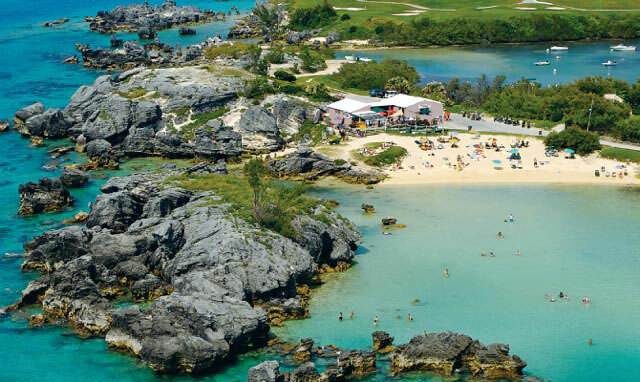 In this Bermuda cruising guide, we will discuss more concerning the different destinations you can visit as well as the excursions you can undertake while there. Enjoy exploring the pink-sand paradise! When choosing the cruise line to use, consider where it is that you want to dock. Most tourists prefer ships that dock in downtown Hamilton. This is where most small cruise lines dock. It’s an ideal destination to dock since it’s perfectly situated right on Front Street. This is where all the action is, plus you can easily access Hamilton, the capital of Bermuda, by bus. You can also use this terminal to access other parts of the island. Most notable beaches in Bermuda are far away from this terminal so you’ll have to take a taxi or use a bus to get to Hamilton. You can also use a ferry to get there if you want to. This option is quicker than using the bus. If you dock at King Wharf’s, you can decide to rent a scooter in order to explore the Island a little more as you head to Hamilton. St George is another popular destination that most cruisers like to tour. It’s about an hour’s ride if you take the ferry from the dockyard. There are also several decent eateries that you can chose from here. The most economical way of travelling around the Island is by buying a day’s pass. You will enjoy unlimited transportation services using any public means. This is a popular attraction that you have to tour, the Fantasy and Crystal Caves. Anyone who loves to explore caves will definitely enjoy this remarkable place. It would be better if you wore sneakers during this tour as some caves are a bit slippery. You will need some beach time in Bermuda. There are so many things to do at the beach i.e. snorkeling, water sports, swimming etc. Try Tobacco Bay and Horseshoe Bay, they are suitable for family visits. Some of the beaches are private i.e. Chaplin Bay, Elbow beach, and Church Bay. If you want to pass time doing something for fun, head straight to the Alexander battery beach to collect lots of sea glass. • Visit the Art Center and the city hall. • Take a sunset cruise to Gosling’s ‘rumologist’.